We replicate a diffraction grating by soft lithography. Tunable diffraction is accomplished by modifying the grating groove density through the application of mechanical strain on the elastomeric grating replica. The strain-variable diffraction output is extended by adding a refracting liquid layer to the grating. Experimental results are accurately described by the combined effects of diffraction by a deformable grating and refraction by a fluid with a curved surface. C. Pada and R. Guerrero. 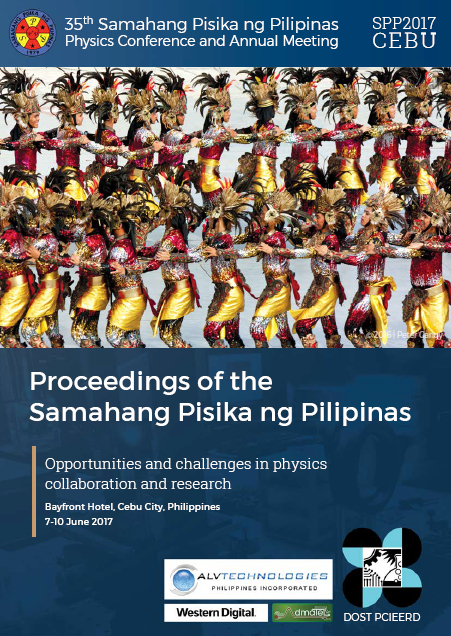 Diffraction from a tunable elastomeric grating with a refracting fluid layer, Proceedings of the Samahang Pisika ng Pilipinas 35, SPP-2017-PA-14 (2017). URL: https://paperview.spp-online.org/proceedings/article/view/109.